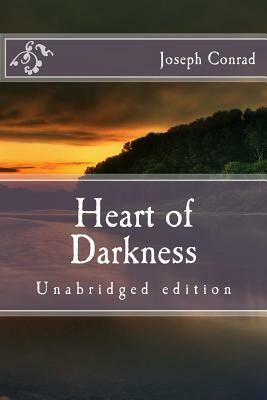 Heart of Darkness (1899) is a novella by Polish-British novelist Joseph Conrad, about a voyage up the Congo River into the Congo Free State, in the heart of Africa, by the story's narrator Marlow. Marlow tells his story to friends aboard a boat anchored on the River Thames, London, England. This setting provides the frame for Marlow's story of his obsession with the ivory trader Kurtz, which enables Conrad to create a parallel between London and Africa as places of darkness. Central to Conrad's work is the idea that there is little difference between so-called civilized people and those described as savages; Heart of Darkness raises important questions about imperialism and racism. The novella has been widely published and translated into many languages. In 1998, the Modern Library ranked Heart of Darkness as the sixty-seventh of the hundred best novels in English of the twentieth century. It remains a great and popular read. Joseph Conrad (1857-1924) was a Polish-British writer regarded as one of the greatest novelists to write in the English language. He was granted British nationality in 1886 but always considered himself a Pole. Though he did not speak English fluently until he was in his twenties (and always with a marked accent), he was a master prose stylist who brought a distinctly non-English sensibility into English literature. He wrote stories and novels, many with a nautical setting, that depict trials of the human spirit in the midst of an impassive, inscrutable universe. Conrad is considered an early modernist, though his works still contain elements of nineteenth-century realism. His narrative style and anti-heroic characters have influenced many authors, including T.S. Eliot, William Faulkner and Graham Greene. Many films have been adapted from, or inspired by, Conrad's works, which include Heart of Darkness (1899), Lord Jim (1900), The Secret Agent (1907), The Shadow Line (1917) and The Nature of a Crime (1923, with Ford Madox Ford).